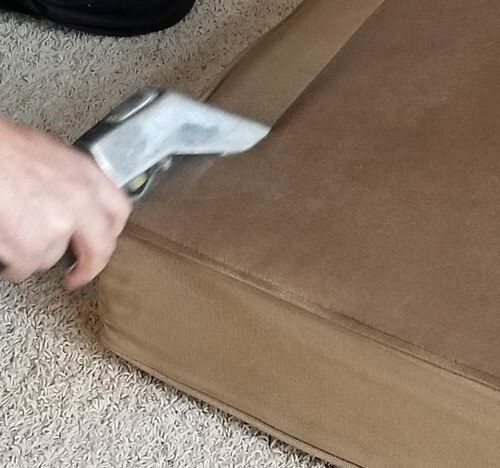 Upholstery Cleaning takes a special touch, this is where the technician has to take off his carpet cleaning hat and put on his upholstery cap. Upholstery is a whole different situation then carpet. 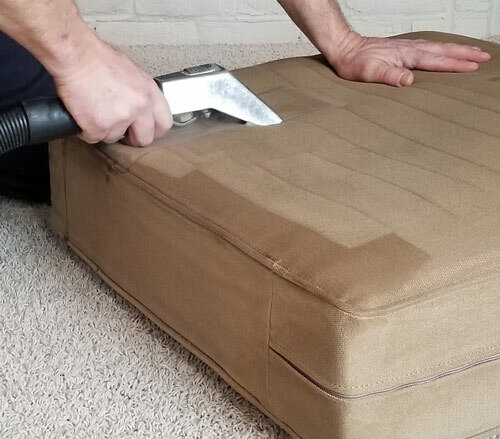 Experience is everything in upholstery cleaning and at Clifford the carpet cleaner we are confident that we can handle all your upholstery needs. Having almost 30 years in upholstery cleaning we have seen it all. We have special hand tools that we use, coupled with the right chemistry we can make your upholstery shine! The majority of the dirt brought into your home ends up in your upholstery. This is why manufacturers recommend a professional upholstery cleaning every 2-3 years. Upholstery cleaning is strong enough to clean the deepest stains and still not hurt your fine fabrics. It’s safe for your entire family to be around as well after the cleaning is done. It will bring back the manufacturer’s look to the furniture. With over 25 years of upholstery cleaning experience, we’re sure you will be pleased with our upholstery services.